AN Aboriginal woman walked along a highway looking for help after a horror crash that left four people dead in the Northern Territory. Tourists found the woman and took her to Pine Creek where a car had rolled over at some stage overnight. NT Police are trying to piece together the circumstances of crash after "misinformation" was received about the incident. Commander Tony Fuller said two men and a woman died at the scene and another woman died on the way to hospital. A 49-year-old injured woman is being treated in hospital with non-life threatening injuries. 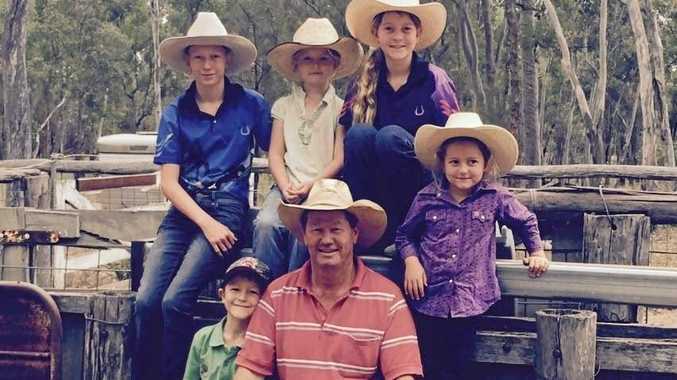 The car, a silver Nissan X-Trail, was last seen at the Mary River homestead about 8.30pm Thursday night. "It was a pretty horrible day for us on the roads," Commander Fuller said. The deaths bring the state's road toll to 42 for the year, compared to 23 last year. "It's a really horrific road toll this year," he said. Police are appealing for anyone who may have information about the crash or witnessed the care travelling along the Kakadu Highway to contact police on 131 444 or Crime Stoppers anonymously on 1800 333 000.